"Is this the new standard for coming-of-age films?" I want you to be the very best version of yourself that you can be. - Marion McPherson What if this is the best version? 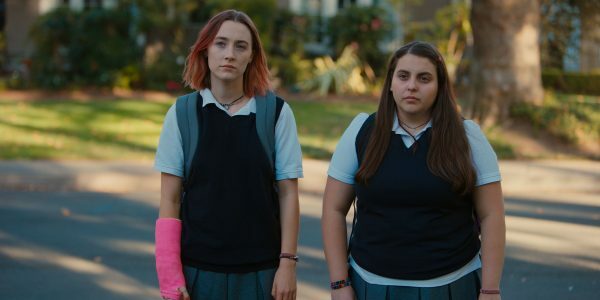 - Christine 'Lady Bird' McPherson Greta Gerwig has been a mainstay as an actress over the past decade in independent cinemas and may not be a familiar name to most audiences. Recently Lady Bird has forced her to the center stage of the public eye. Even though she has received critical acclaim for her acting throughout the years, it is her writing and directing that have afforded her even greater recognition. With a win at the Golden Globes and an Academy Awards nomination, this comedic actress finds herself as everyone’s favorite female director. Her directing debut is a semi-autobiographical sketch of her teenage life in Sacramento, California. The central charter is Christine "Lady Bird" McPherson (Saoirse Ronan) who is in her final year at a parochial high school. She is trying to figure out what her future is: to remain on the West Coast or to follow her dreams to the East. Between applying to universities around the country, she decides to try her hand at the theater, makes strides to connect with the elite of her school and explores her own sexual identity. As she rides the emotional roller coaster of this tumultuous time that tends to impact all teenagers, things get exacerbated by her strained relationship with her mother. As the time comes for her to graduate, everything moves toward an inevitable collision of the expectations of all who are involved in her life. The theme and marketing are reminiscent of the seminal coming of age films from John Hughes (Sixteen Candles, Pretty in Pink), but Gerwig delivers a twist on this genre in her maiden directorial venture. Even though this modern version is not as polished as those films, this story is closer to the independent film heritage that this actress turned writer/director has represented in her career. Riding the line between fiction and reality, the method of storytelling has moved from a world of innuendo into a realm of realism. Reminiscent of 2016's The Edge of Seventeen and its use of actual sexual encounters and the raw use of the human vernacular, this film becomes inaccessible to the supposed target audience. Which begs the question, who is the target audience? Even though the central character is a self-centered teen played with unapologetic precision by Saoirse Ronan, she does not seem to represent the actual intended market. The content is not designed for a younger audience, but for the adults who were raised on those John Hughes films and now realize that real life is nothing like those films of the past. The marvelous performances of Laurie Metcalf and Tracy Letts as Lady Bird’s parents manage to show the bittersweet nature of parenthood. The biting commentary of this film is the lack of contentedness in modern society and how everything in life can be taken for granted. The screenplay touches on some of the harsh realities of life and handles them in a humorous and confronting manner. 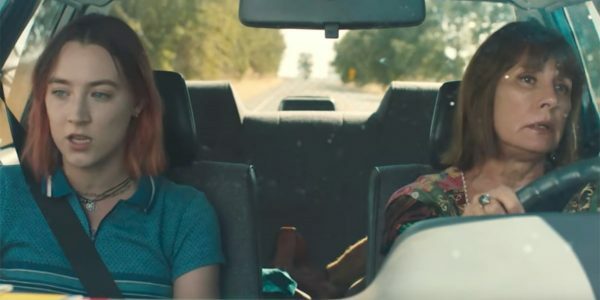 It is artistically entertaining, but in attempting to deliver a more reality-based teen film, Gerwig manages to write a coming-of-age film for the parents of the modern teenager. Lady Bird is well crafted and contains some fantastic performances.